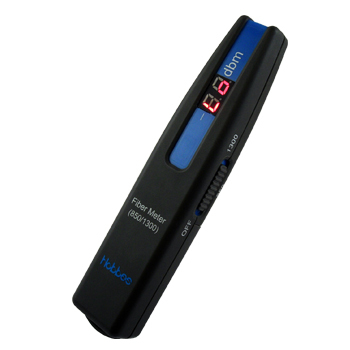 The SMARTone & SMARTprobe - Digital Network Cable Tester Tracker uses advanced digital signal technology to trace and identify cables in high speed and high precision; avoiding noise and false signals. It is a true breakthrough beyond traditional testing methods. 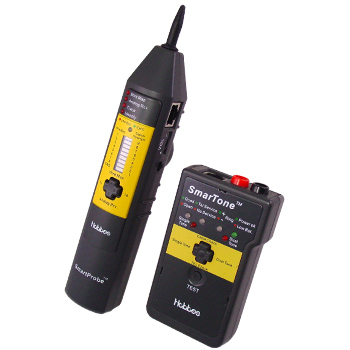 The SMARTone and SMARTprobe - Digital Network Cable Tester Tracker is compatible with traditional analog tone generators. Finally, it is not only a digital Tone and Probe but also a cable tester; it can test cable continuity, telephone service/polarity, and even wire mapping. The Fiber Meter (850/1300) – Optical Power Meter consists of a solid state InGas photo diode, signal power measurement circuitry, and a 2 digit LED display. Users just connect a fiber cable between the transmission port of the equipment and the universal interface on the Fiber Meter (850/1300) – Optical Power Meter, or they can connect to other light source. The product will show the exact amount of the received power value (in–dBm). The test ranges are 30dBm to –15dBm in wavelength 850nm/1300nm and –30dBm to –6Bm in wavelength 1310nm/1550nm. The LANIDgiga - Link Tester & Port Finder & PoE Tester is an advance edition of LANID Pro - Link Tester & Port Finder with more capabilities. It is a high efficiency diagnostic tool for network installation and troubleshooting. With the LANIDgiga - Link Tester & Port Finder & PoE Tester, network administrators can quickly confirm status of an active port. It will diagnose the problems during the LAN installation or maintenance on LAN devices or wall ports. Also the unit integrated the POE function, it identifies the existence of POE and the type of the PSE (power sourcing equipment) on the entire networks. The unit is also equipped with a port-finder function. The port-finder feature helps to find out the workstation. 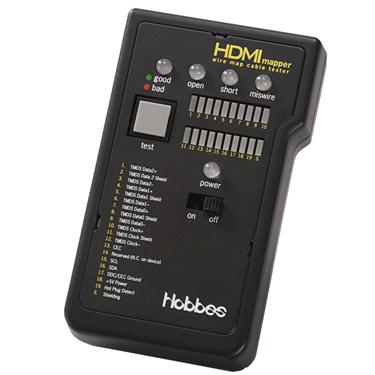 HDMImapper - HDMI Cable Tester(HDMI High Definition Cable Tester) is designed to test and troubleshoot the pin connections of HDMI cables. It detects the HDMI cable pin out and provides a detail information if the cable is damaged or in good quality. It tests for results by using pin to pin connection and verifies an open, short or mis-wire pins. The unit also displays a quick and easy to read dual LED color (green and red) to conveniently let the user know if the cable passes or failed the test. 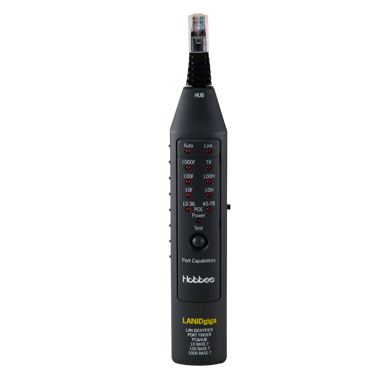 The HDMImapper - HDMI Cable Tester can also display detail information of the wire faults if required. 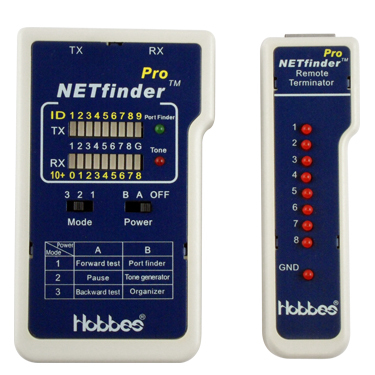 NETfinder Pro – Network Cable Tester With Tone Generator & Port Finder & Cable Organizers is an expanded version of NETfinder. The Pro version adds the cable organizer function and includes 18 remotes. The organizer function allows the NETfinder Pro – Network Cable Tester With Tone Generator & Port Finder & Cable Organizers to identify hub/switch ports at the closest level, and to match cables at up to 18 different locations.